I have heard there is a network of layered tunnels under the city. Is this true, and if so, what was the purpose of the tunnels when they were designed and built? Yes! It’s true — there are many tunnels underneath the Loop. 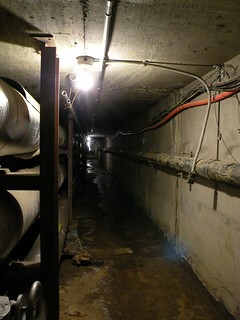 Learn about the six different sets of tunnels we found, including the tunnels connected to the building where our question asker works. Check out this rendering of the six tunnels under the Loop we commissioned artist Erik Rodriguez to create. Finding the cable car tunnels was quite an adventure.